Coline Covington, PhD, is a training analyst of the Society of Analytical Psychology and the British Psychotherapy Foundation and former chair of the British Psychoanalytic Council. She is a fellow of the International Dialogue Initiative (IDI), a think tank created to apply psychoanalytic concepts to understanding political conflict. She has written extensively on psychoanalysis and society, most recently Everyday Evils: A Psychoanalytic View of Evil and Morality (Routledge, 2016). She is in private practice in London. Her new book, For Goodness Sake: Bravery, Patriotism and Identity, will be published by Phoenix Publishing House in 2020. Carolyn S. Ellman, PhD, is a fellow at IPTAR and co-editor of several books: The Modern Freudians: Contemporary Psychoanalytic Technique (Jason Aronson,1998); Omnipotent Fantasies and the Vulnerable Self: A New Freudian Synthesis (Jason Aronson, 1997); and A New Freudian Synthesis: Clinical Process in the Next Generation (Karnac, 2011). She has also written extensively on envy, particularly among women. Elizabeth Cutter Evert, LCSW, is a psychoanalyst in private practice in New York City. She is on the clinical faculty of IPTAR and is a director of their Clinical Center. She is interested in questions of female development and in the overlap between secular and religious experience. Michelle Fine, PhD, is distinguished professor of critical psychology and gender/women’s studies at the Graduate Center, CUNY; a founding member of the Public Science Project at the Graduate Center; and author of recent book JUST Research in Contentious Times (Teachers College Press, 2018). Richard Grose, PhD, is an associate member of IPTAR, where he serves as secretary on the board of directors and teaches in the respecialization program. He is a member of ROOM’s editorial board and a co-chair of the Room Roundtable. He has a private practice in psychotherapy and psychoanalysis in Manhattan. Yitzi Katz, LCSW, maintains a private practice in Jerusalem, Israel, and treats survivors and perpetrators of sexual abuse at an agency in Israel. Prior to relocating to Israel, Yitzi had cofounded the Chicago Trauma Collective and worked extensively with survivors of trauma in the child welfare system in Chicago. Yitzi is a lecturer in the China American Psychoanalytic Alliance (CAPA) and a graduate of the Chicago Center for Psychoanalysis (CCP) program in psychoanalytic psychotherapy. of Aleppo. He is putting the final touches on his novel The Bones of Aleppo. His chapbook is available for purchase at jackpinepress.com. Bandy X. Lee, MD, MDiv, is a forensic psychiatrist at Yale School of Medicine. She has consulted globally and nationally on violence prevention and prison reform. She has an extensive publication record, including opinion-editorials, peer-reviewed articles and chapters, and fifteen edited books including the New York Times bestseller The Dangerous Case of Donald Trump: 27 Psychiatrists and Mental Health Experts Assess a President (Macmillan, 2017). She has most recently authored the textbook Violence (Wiley-Blackwell, 2019) and does clinical work in correctional and public-sector settings. Eugene Mahon, MD, is a training and supervising psychoanalyst at Columbia Psychoanalytic Center for Training and Research. He has published three books—A Psychoanalytic Odyssey, Rensal the Redbit, and Boneshop of the Heart—and numerous articles on psychoanalysis. He practices in New York City. Brent Matheny is a student at Kenyon College and will be graduating in the spring of 2019 with a bachelor’s degree in philosophy. He recently presented a research project on the possibility of and obligation for communication across the American political divide at the Eastern Division meeting of the American Philosophical Association. Currently, he is working on a thesis that expands this idea, thinking about it in the context of a Davidsonian theory of communication through the lens of a feminist ethic of care. Natasha Kurchanova, PhD, is a candidate at IPTAR.Her doctorate is in art history. Apart from studying psychoanalysis and working as a clinician, she contributes reviews and interviews with artists for such publications as Studio International, The Candidate Journal, The Burlington Magazine, CAA Reviews, Bomb Magazine, Art Journal, and other publications. She is on the editorial board of The Candidate Journal. Kerry Malawista, PhD, a training and supervising analyst at the Contemporary Freudian Society, with essays in The New York Times, The Washington Post, Zone 3, Washingtonian Magazine, Intima, Huffington Post, and Account Magazine. She is co-author of Wearing My Tutu to Analysis, The Therapist in Mourning, and Who’s Behind the Couch? She co-chairs the Washington Psychoanalytic Program, New Directions in Writing. Dana Sinopoli, PsyD, is a clinical psychologist and psychoanalytic candidate in private practice in Philadelphia. She has been an outspoken critic of the current administration. She authored a letter in response to the zero- tolerance policy which, on behalf of the mental health community, was signed by over 21,000 people and 200 organizations and was delivered to the highest officials in all three branches of the US government. Simon Western, PhD, is president of ISPSO, adjunct professor at University College Dublin, and CEO of Analytic-Network Coaching. His Advanced Coach Training program has a global footprint, using contemporary psychoanalytic methods to develop leaders and help them adapt to the digital age. He is the author of Leadership: A Critical Text (3rd ed., Sage, 2019), Global Leadership Perspectives (Sage, 2018), and Coaching and Mentoring: A Critical Text (Sage, 2017). C. Jama Adams, PhD, is associate professor in the department of Africana studies at John Jay College of Criminal Justice (CUNY). His most recent book, Africana Peoples in China: Psychoanalytic Perspectives on Migration Experiences, Identity, and Precarious Employment, was published by Routledge in 2018. 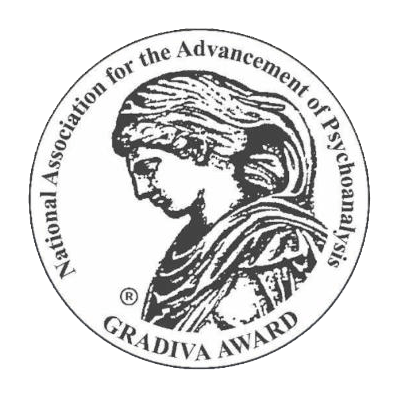 Delia Battin, LCSW, is a training and supervising analyst at the Contemporary Freudian Society (CFS), a fellow of the International Psychoanalytic Association (FIPA), a member of IPTAR and of the Association for Psychoanalytic Medicine, and on the faculty of IPTAR and the CFS. She practices in New York City. She has previously published articles on screen memories, play, the golden section, grief, and clinical psychoanalysis. Joseph A. Cancelmo, PsyD, FIPA, is former president, training and supervising analyst and faculty of the Institute for Psychoanalytic Training and Research (IPTAR), and a Fellow of the International Psychoanalytical Association (IPA). He currently serves as co-chair of the Gould Center for Psychoanalytic Organizational Study and Consultation. He is a co-author of Child Care for Love or Money?, co-editor of Terrorism and the Psychoanalytic Space and The Selected Papers of Allan Frosch (in press), and has published articles on application of Winnicott’s and Bion’s ideas to clinical process. He maintains a private practice in New York City with adolescents, adults, couples, and psychoanalytic consultation to executives and organizations. Coline Covington, Ph.D., is a training analyst of the Society of Analytical Psychology and the British Psychotherapy Foundation and former chair of the British Psychoanalytic Council. She is a fellow of International Dialogue Initiative (IDI), a think tank created to apply psychoanalytic concepts to understanding political conflict. She has written extensively on psychoanalysis and society, most recently Everyday Evils: A Psychoanalytic View of Evil and Morality (Routledge, 2016). She is in private practice in London. Her new book, For Goodness Sake: Bravery, Patriotism and Identity, will be published by Phoenix Publishing House in 2020. Michael Diamond, PhD, is professor emeritus of public affairs and organization studies, University of Missouri, Columbia. He is an organizational consultant and author of Discovering Organizational Identity (University of Missouri Press, 2017) and is currently a faculty and steering committee member of The Gould Center for Psychoanalytic Organizational Study and Consultation at IPTAR. Carolyn S. Ellman, Ph.D., is a fellow at IPTAR and co-editor of several books: The Modern Freudians: Contemporary Psychoanalytic Technique (Jason Aronson,1998); Omnipotent Fantasies and the Vulnerable Self: A New Freudian Synthesis (Jason Aronson, 1997); A New Freudian Synthesis: Clinical Process in the Next Generation (Karnac, 2011). She has also written extensively on envy, particularly among women. Aneta Stojnić, PhD, is a candidate in IPTAR’s Respecialization and CAP Programs and a theoretician, curator, artist, and professor of performance and media theory. She has published three books and numerous essays and academic papers. Her latest book is Shifting Corporealities in Contemporary Performance: Danger, Im/mobility and Politics (Palgrave Macmillan, December 2018). Elizabeth Trawick, MD, is a psychoanalyst practicing in Birmingham, Alabama. Isaac Tylim, PsyD, FIPA, is an IPTAR Fellow, IPA training and supervising analyst, member of the Argentina Psychoanalytic Association, and a clinical professor, training analyst and consultant at NYU’s postdoctoral program in psychotherapy and psychoanalysis, where he co-founded the Trauma and Disaster Specialization Program. For the last five years, he has been involved in the theatrical dramatization of Freud and Ferenczi’s thirty-year correspondence, which is being presented internationally. He is a co-editor of Reconsidering the Moveable Frame in Psychoanalysis (Routledge, 2018) and maintains a multilingual private practice in New York City. Sheldon Bach, PhD, is an adjunct clinical professor of psychology at the NYU postdoctoral program for psychoanalysis, a training and supervising analyst at the Contemporary Freudian Society and the Institute for Psychoanalytic Training and Research, and a fellow of the International Psychoanalytical Association. He is the author of several books on psychoanalysis and of many papers, some of which have been collected in Chimeras and Other Writings: Selected Papers of Sheldon Bach. He is in private practice and teaches in New York City. Juan Mariño is an emerging artist born in Valencia-Venezuela in 1987. Marino attended the Arturo Michelena Art Center located in Caracas. Now, Mariño lives and works in Valencia, where he continues his exploration in painting and ceramics. Margaret Fulton, PhD, ABPP, LP is a member of the Minnesota Psychoanalytic Society and Institute (MPSI) and the Psychoanalytic Center of California (PCC). She is on the faculty of MPSI and Past-President of the Society. Margaret also served on the Minnesota Board of Psychology for five years and she has a private practice in psychoanalysis in Minneapolis, MN. Richard B. Grose has a PhD in Russian Studies from University of Chicago. He is an advanced candidate at IPTAR, an editor on ROOM’s editorial board and co-chair of the ROOM Roundtable. He has a private practice in psychotherapy and psychoanalysis in Manhattan. Stefanie Hofer is an Assistant Professor of German in the Department of Modern and Classical Languages and Literatures at Virginia Tech. She has published on contemporary German literature and cinematic depictions of Germany’s struggle to come to term with Nazi atrocities and left-wing terrorism. Her current research focuses on the role of autobiographical narratives in post-traumatic healing. Ann E. Kaplan, MA is an economist and writer. She is a vice president at the Council for Aid to Education (CAE), a New York City based nonprofit that measures education outcomes. She has studied charitable giving for 25 years. Young-Ran Kim, PhD is a Korean Candidate at IPTAR in the Adult Psychoanalytic Program and the Child Adolescent Psychotherapy Program (CAP). She received an MA in philosophy from Ewha Woman’s University, and a MA in clinical psychology from the Catholic University of Korea. She holds a doctorate in psychology from the Catholic University of Korea in Seoul and has lectured and researched on abnormal psychology, DSM-5 revisions, dimensional and categorical diagnostic system, and classification of personality disorders. Betty Teng, MFA, LMSW is a trauma therapist who is in psychoanalytic training and practices at the Institute for Contemporary Psychotherapy (ICP) in Manhattan. She is a contributor to the recent book The Dangerous Case of Donald Trump and a screenwriter and editor whose credits include films by Ang Lee, Robert Altman and Mike Nichols. Francesca Schwartz, PhD merges psychoanalysis with her background in the performing and fine arts. She is on faculty at IPTAR and has private practice in New York where she specializes in treating emerging artists. Pieces from her Series 1 will appear in the CLIO Art Fair, NYC, March 2018. Coline Covington Ph.D., is a Training Analyst of the Society of Analytical Psychology and the British Psychotherapy Foundation and former Chair of the British Psychoanalytic Council. She is a Fellow of International Dialogue Initiative (IDI), a think tank formed by Prof. Vamik Volkan, Lord Alderdice and Dr. Robi Friedman to apply psychoanalytic concepts in understanding political conflict. She has written extensively on psychoanalysis and society, most recently Everyday Evils: A Psychoanalytic View of Evil and Morality (Routledge, 2016). She is in private practice in London. Enrique Enriquez is a New York-based Venezuelan poet and artist. His work with the Marseilles Tarot breaks new ground intellectually and artistically. Jeri Isaacson, Ph.D., is an Associate Member of IPTAR. She is a psychoanalyst and clinical psychologist practicing in Montclair, New Jersey. Psychoanalyst at the Seattle Psychoanalytic Society where she on the faculty. She treats adults and children in private practice in Seattle. Brian Kloppenberg FIPA, teaches at IPTAR, NPAP and SVA. At IPTAR, he chairs the Faculty and Curriculum Committee and IPTAR-Q. His essays appear in JAPA, Psychoanalytic Psychology and The Undecidable Unconscious. Ellen Marakowitz, Ph.D., is a Member of IPTAR. She is on faculty at IPTAR and at Columbia University where she is director of the MA Program in Anthropology. She is in private practice in New York. Jared Russell Ph.D., is an analyst in private practice in NYC. He is a member, clinical supervisor, and on faculty at IPTAR and NPAP. He is Managing Editor of The Undecidable Unconscious: A Journal of Deconstruction and Psychoanalysis (U. of Nebraska Press). He is the author of Nietszche and the Clinic: Psychoanalysis , Philosophy, Metaphysics. (Karnac, 2016). Diana Schmertz is an artist and educator. She has received grants and awards from organizations such as the Lower Manhattan Cultural Council, the Northern Manhattan Arts Alliance, the Aljira Emerge Fellowship program, and the Drawing Center and has participated in residencies in Russia, Europe and the U.S. Her work has been shown at Garis & Hahn and Columbia University in New York City, the International Museum of Women, San Francisco and Galería Nacional, Santo Domingo, Dominican Republic. In addition, Schmertz has made public art supported by grants. Currently, she is in a two-person exhibition, Soma, at Muriel Guépin Gallery LES, NYC and in a group show at Center for Book Arts, Chelsea NYC. Sarah Valeri is an art therapist working with children with visual impairments and diverse developmental experiences, as well child survivors of trauma. She is a Candidate in the IPTAR’s Child Analytic Program (CAP). Sarah is an internationally exhibiting artist. C. Jama Adams is Associate Professor in the Department of Africana Studies at John Jay College of Criminal Justice-CUNY. He is currently working on a book about the psychological adjustment strategies of Africana workers in China. Violette Bule uses photographic and mix-media projects to highlight complex social problems as a means for social change. She has exhibited in contemporary art museums and fairs in Tokyo, Caracas, Paris, London, Hong Kong, Miami, NYC, and Basel. In 2014 she was awarded the Cisneros Foundation grant. Bule won first place in the 18th edition of Jóvenes Con Fia 2015, Caracas, Venezuela. Richard Grose i s an advanced candidate at IPTAR. He has private practice of psychotherapy and psychoanalysis in New York City and was editor of the Round Robin (2013-2017). Joan V. Liebermann is a psychiatrist and psychoanalyst in private practice in Washington, DC and a clinical faculty member at the GeorgeWashington University School of Medicine. Carlos Padrón is a licensed psychoanalyst and an advanced candidate at IPTAR’S adul t psychoanalytic program. He has written on the intersections between philosophy, psychoanalysis and literature. He hails f rom Venezuela. Jared Russell is a psychoanalyst and on faculty at IPTAR. His most recent book is Nietzsche and the Clinic (Karnac 2016). Audrey Siegel is an analyst emeritus at IPTAR, a photographer, and was the first co-director IPTAR’s Clinical Center from 1992-2000. Rona Silverton is a psychoanalyst, a member of IPTAR and a watercolor artist. Gila Ashtor is a Candidate in IPTAR’s child and adult psychoanalytic programs. She holds a doctorate in literature and philosophy. Joseph Cancelmo i s a Training and Supervising psychoanalyst and Chair, The L.J. Gould Center for Systems-Psychoanalytic Studies at IPTAR. Elizabeth Evert is the Co-Director of IPTAR’s Clinical Center and on faculty at IPTAR. Janet Fisher is a Training and Supervising psychoanalyst and on faculty at IPTAR. Jane Lazarre is the author of Beyond the Whiteness of Whiteness: Memoir of a White Mother of B lack Sons. Her for thcoming memoir The Communist and the Communist’s Daughter is in press at Duke U. Press. She is on the guest faculty at IPTAR. Eugene Mahon is a Training and Supervising psychoanalyst at Columbia Psychoanalytic. His for thcoming volume of poet r y BONE SHOP OF THE HEART is in press with IPBooks. Otto-Werner Mueller (1926-2016). Professor of conducting at the Curtis Institute of Music, Julliard School of Music, and Yale School of Music. Music director of the Yale Philharmonic. Hattie Myers is a Training and Supervising psychoanalyst at IPTAR. ROOM 2.17 would also like to acknowledge the editorial guidance of Sonal Soni, Odile Hullot-Kantor, Karen Berntsen and the support of the IPTAR Board of Directors.